WASHINGTON – The House Intelligence Committee voted unanimously Monday to release a Democratic rebuttal to GOP accusations that the FBI misled a secret surveillance court. President Donald Trump now has five days to decide whether the information will become public. The vote means the political rancor roiling Congress is likely to continue. Each party has accused the other of misrepresenting sensitive intelligence surrounding the ongoing probe into whether any Trump associates coordinated with Russia to interfere in the 2016 presidential election. The panel's senior Democrat, Rep. Adam Schiff, Calif., announced the vote results, saying Republican attacks on the Justice Department and the FBI show desperation on the part of the president's defenders. 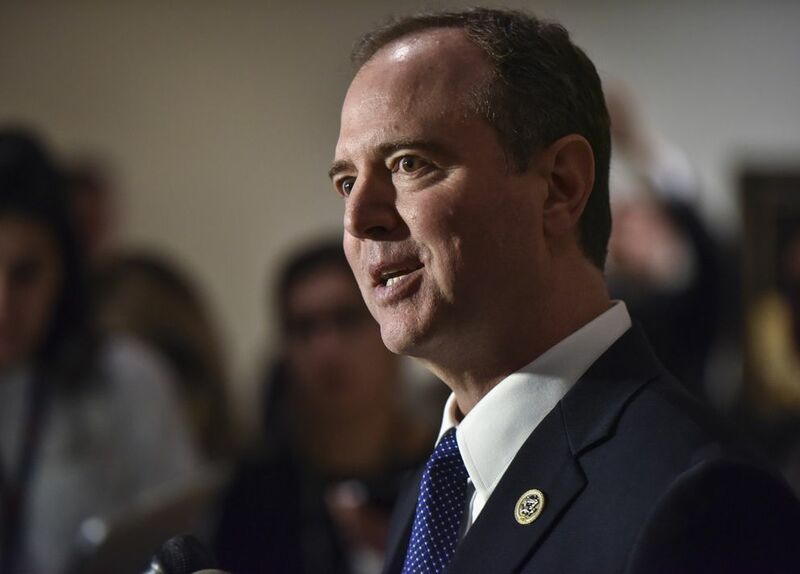 "We think this will help inform the public of the many distortions and inaccuracies" in the GOP memo released last week, Schiff told reporters after Monday's vote, adding that he was concerned the Trump administration could still try to stymie the Democrats' response. "We want to make sure that the White House does not redact our memo for political purposes," Schiff said. "There is a rising sense of panic, clearly, within the White House and as well on the Hill." Schiff said that he gave copies of the Democrats' memo to the FBI and the Justice Department days ago and that he expected it to go to the White House on Monday night for review. In announcing the vote, Schiff blasted the Intelligence Committee's Republican chairman, Rep. Devin Nunes, Calif., for his handling of Russia-related intelligence issues. 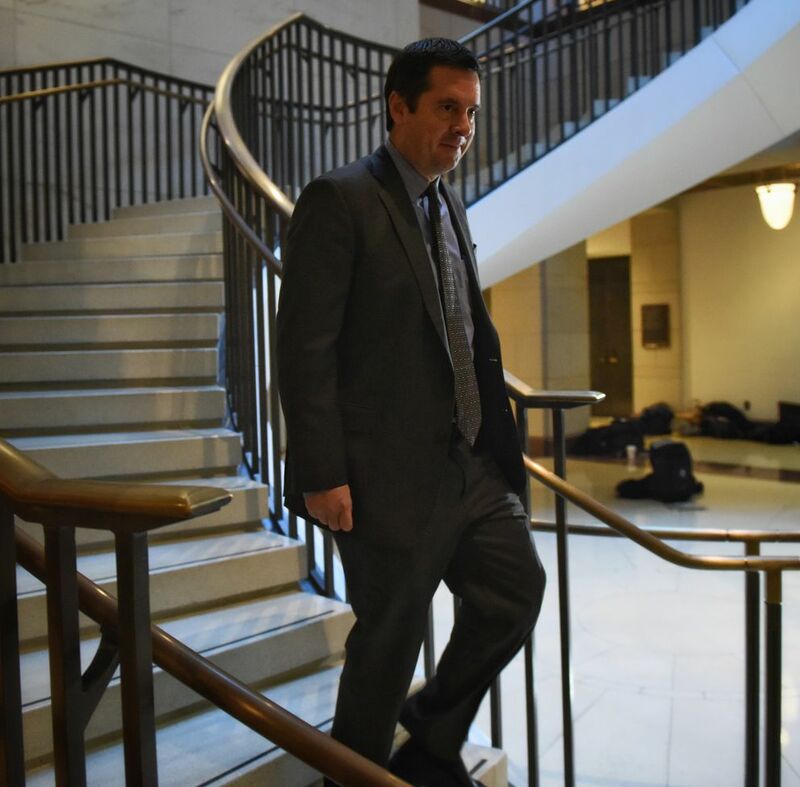 He said Nunes had blocked efforts to obtain testimony from key witnesses and refused to answer repeated questions about whether he had coordinated with the White House in preparing the GOP memo. Nunes did not address the media after Monday's vote. One Republican on the panel, Rep. Michael Conaway, Texas, said he was not aware of any coordination between Nunes and the White House. "I just can't imagine Devin would be involved in that," Conaway said. In an interview Friday with Fox News, Nunes blasted Democratic critics, saying they were trying to conceal abuses of surveillance powers by the FBI and the Justice Department. "These guys tell so many lies, you can't keep track of them," Nunes said. Even with the committee voting to make the Democrats' memo public, Trump could decide to keep it secret. Under congressional rules, the president has five days to consider whether to block the memo's release. If he blocks it, Nunes could then ask the full House to override the president's decision. A White House spokesman said the Democratic memo would undergo the same review as the GOP memo before it. Before Monday's vote, Trump charged in a tweet that Schiff "leaves closed committee hearings to illegally leak confidential information" and "must be stopped" – suggesting that the president may decide not to allow the Democrats' assertions to be made public. And during a speech about tax cuts Monday in Ohio, Trump went off script to talk about the Nunes memo. "Oh, but did we catch them in the act or what?" he asked his audience. "You know what I'm talking about. Oh, did we catch them in the act. They are very embarrassed. They never thought they were going to get caught. We caught them. Hey, we caught them. It's so much fun – we're like the great sleuth." In the same speech, Trump ratcheted up his rhetoric against congressional Democrats, suggesting they were "treasonous" for not applauding during his State of the Union address last week. Nunes has indicated to other committee members that the president might make significant redactions before allowing the Democrats' memo to be released, according to one person familiar with the discussion, though accounts differed. Rep. Thomas Rooney, R-Fla., said that he did not think the president would block the memo's release but that Trump should redact information about sources and methods of intelligence collection. Such details do not represent the bulk of the Democrats' memo, he added, calling it an inaccurate representation of what's contained in underlying intelligence documents. House Speaker Paul Ryan, R-Wis., said last week that he supports the rebuttal's public release once it goes through the same process the Republican memo was put through. The GOP memo was available to House members to read in a secure facility for 11 days before the panel voted to make it public. On Jan. 29, the House Intelligence Committee voted to make the Democrats' memo available to all members to peruse in a secure facility as well. The four-page GOP document released Friday accuses the FBI and the Justice Department of misusing information from a British ex-spy during the 2016 election to help justify their warrant application to surveil a former Trump campaign adviser, Carter Page. The Democrats' 10-page rebuttal, written by Schiff and staffers, suggests that the Republicans' memo is misleading and relies on cherry-picked information intended to discredit the ongoing probe into possible links between Russian agents and the Trump campaign. In his Monday tweet, the president accused "Little Adam Schiff" of being "one of the biggest liars and leakers in Washington," along with former FBI Director James Comey; Sen. Mark Warner, D-Va., vice chairman of the Senate Intelligence Committee; former CIA Director John Brennan; and former Director of National Intelligence James Clapper. All had spoken out against releasing the GOP memo. The committee is scheduled to interview former White House adviser Steve Bannon on Tuesday – the third time it has scheduled him for a return trip to Capitol Hill after he refused to answer the panel's questions related to the Trump transition team. But lawmakers were unsure Monday evening if Bannon was going to show and indicated that they were starting to lose patience. Rooney warned that if Bannon did not comply with the committee's subpoena, it could prompt talk about "contempt of Congress," which could trigger a showdown between the legislative and executive branches. A person familiar with Bannon's plans said he would not appear Tuesday because the White House and the House counsel have not come to an agreement about whether Bannon is covered by executive privilege, as the White House insists. This person said, however, that Bannon will meet with Special Counsel Robert Mueller before the middle of the month and will answer his questions with no restrictions. In the Senate on Monday, Sens. Charles Grassley, R-Iowa, and Lindsey Graham, R-S.C., released a heavily redacted version of their memo urging the Justice Department to investigate whether the British ex-spy, Christopher Steele, lied to the FBI. Steele authored a now-famous dossier alleging ties between Trump associates and the Kremlin, a document at the center of Republicans' complaints about the bureau. The two senators also made clear that they are probing whether officials at the State Department may have helped Steele. Nunes has indicated that he is investigating this as well. The document made public by Grassley on Monday indicates that the Senate Judiciary Committee launched its inquiry in response to reports published by The Washington Post about Steele and the firm that hired him, Fusion GPS. It accuses Steele of misleading the FBI about his contact with reporters during the campaign. Steele declined to comment. A lawyer for Fusion GPS did not immediately comment on the document.